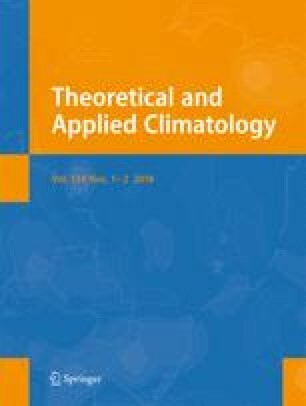 In this study, temperature extremes are analyzed for observed (1979–2005) and projected scenarios using three global climate models (GCMs) and their Representative Concentration Pathways (RCPs) based on Coupled Model Intercomparison Project Phase 5 (CMIP5) datasets, to investigate the spatio-temporal variations and possible changes in joint probability behavior of temperature extremes over North Sikkim Himalaya, India. Statistical downscaling model (SDSM) and copulas are applied to downscale the GCM outputs and to construct joint probability distribution of extremes, respectively. A set of ten climate extreme indices are selected to understand the inter-annual variability. Joint return period of extreme indices was calculated using six temperature extreme indices (based on days). Linear trends were estimated using Mann Kendall test with statistical significance and indicated widespread significant changes in temperature extremes. The significant changes in temperature extremes such as the temperature of warmest night and day have increased by 1.41 and 1.83 °C, and the temperature of coldest night and day has decreased by 3.61 and 4.83 °C, respectively, during 2006–2100 with the baseline period of 1979–2005. The spatial distribution of 5-year return periods and 10-year return periods is almost similar during 1979–2005. There is less co-occurrence of warm nights and days, but higher chance to co-occurrence of cool and warm nights in the same year during 2021–2100. The change in joint return periods under the RCP8.5 shows frequent co-occurrence of cool days and nights, ice and frost days, and cool and frost days than RCP2.6 and RCP4.5. This study implies that the warm days, cool days, warmer nights, and cool nights are decreased with increased warming intensity, which shows the overall warming trend over the North Sikkim Himalaya, India. This research work has been carried out under DST research project No. SB/DGH-66/2013 and financial support is gratefully acknowledged.